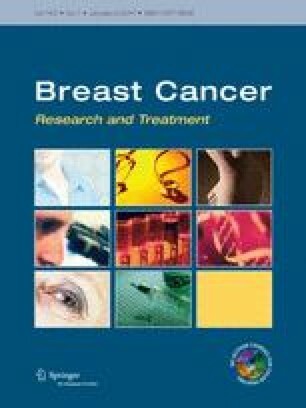 There may be a relationship between the incidence of vasomotor and arthralgia/myalgia symptoms and treatment outcomes for postmenopausal breast cancer patients with endocrine-responsive disease who received adjuvant letrozole or tamoxifen. Data on patients randomized into the monotherapy arms of the BIG 1-98 clinical trial who did not have either vasomotor or arthralgia/myalgia/carpal tunnel (AMC) symptoms reported at baseline, started protocol treatment and were alive and disease-free at the 3-month landmark (n = 4,798) and at the 12-month landmark (n = 4,682) were used for this report. Cohorts of patients with vasomotor symptoms, AMC symptoms, neither, or both were defined at both 3 and 12 months from randomization. Landmark analyses were performed for disease-free survival (DFS) and for breast cancer free interval (BCFI), using regression analysis to estimate hazard ratios (HR) and 95 % confidence intervals (CI). Median follow-up was 7.0 years. Reporting of AMC symptoms was associated with better outcome for both the 3- and 12-month landmark analyses [e.g., 12-month landmark, HR (95 % CI) for DFS = 0.65 (0.49–0.87), and for BCFI = 0.70 (0.49–0.99)]. By contrast, reporting of vasomotor symptoms was less clearly associated with DFS [12-month DFS HR (95 % CI) = 0.82 (0.70–0.96)] and BCFI (12-month DFS HR (95 % CI) = 0.97 (0.80–1.18). Interaction tests indicated no effect of treatment group on associations between symptoms and outcomes. While reporting of AMC symptoms was clearly associated with better DFS and BCFI, the association between vasomotor symptoms and outcome was less clear, especially with respect to breast cancer-related events. The BIG 1-98 trial was sponsored by Novartis and coordinated by IBCSG. Support for the IBCSG: Swedish Cancer Society, The Cancer Council Australia, Australia and New Zealand Breast Cancer Trials Group, Frontier Science and Technology Research Foundation, Swiss Group for Clinical Cancer Research (SAKK), the National Cancer Institute Grant CA-75362, Cancer Research Switzerland/Oncosuisse, and the Foundation for Clinical Cancer Research of Eastern Switzerland (OSKK).